How Valuable is Your Fender Guitar? Thanks to the likes of Jimi Hendrix, George Harrison, Stevie Ray Vaughan, and countless other rock & roll stars, the name “Fender” has become arguably the most well-known name in the guitar world. If you’re lucky enough to own one of these iconic instruments, the odds are that it has a very special place in your heart—and for good reason. That said, circumstances can change. Maybe you want to upgrade your guitar but can’t afford to own more than one, or are simply strapped on cash and have no option but to sell your prized Fender. This can be a hard decision, but also a very profitable one. Indeed, you’ll want to do a lot of hard research before accepting any offers, because used and new Fender guitars go on the market for anywhere from a couple hundred dollars, to well into the thousands. But how can you tell the difference between a guitar valued at three figures versus four, five, or even six? In one sense, it’s all subjective but here are a few things to consider. 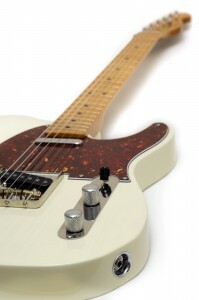 The most important indicator of value for your Fender guitar is the model and year of manufacture. For instance a brand new Starcaster retails at under $200, but its big brother the Stratocaster sells for anywhere from $500 to $20,000. If you’re unsure of these details, visit “The Guitar Dater Project” and type in your serial number. As is the case with all instruments, and pretty much any goods on the second hand market, the next most important factor in calculating value is condition. Does your Fender look just as good as it did when you first took it out of its box, or is it covered in scratches and dents? Of course, as important as outside appearances are, they’re not everything. For instance, a classic guitar from the 1950s with a few dings will still be worth way more money than a mint condition instrument from five years ago. Regardless of what you’re selling, it all comes down to how much your buyer is willing to pay—and some will pay more than others. For instance, if a pawnshop owner is likely to pay less for your guitar in order to keep his or her own profit margins high, while a Fender collector at an auction may be willing to make a bigger investment. All of these factors aside however, your Fender guitar is as valuable as you think it is. Even if your instrument is worth $5000, if its sentimental value is worth more than that to you then hang on to it. That being said, Fender guitars are among some of the most valuable guitars ever sold at auction. 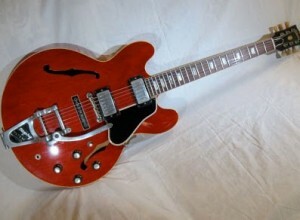 Of course, being used by world-famous guitarists has helped bump up the fetching price for these cherished axes. 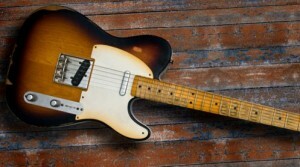 This was Leo Fender’s prototype for what would become one of the world’s most popular guitar models. Selling price: $375,000. Fender custom-made this guitar for Eric Clapton in 1996. It is plated with 24carat gold and was sold at auction for $450,000. This was used by the Beatles between 1966 and 1969, later selling at auction for $570,000. The blues legend got this guitar from his wife in 1980 as a birthday present, a decade before his death. It went for $623,000 at auction. 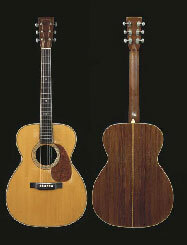 Owned for a time by Eric Clapton, this legendary acoustic sold for $791,000. Played by Clapton when he first arrived on the music scene, this guitar auctioned for $847,000. One of six vintage Strats bought by Clapton in 1970s for a mere hundred dollars each, this rarity went for $959,000. 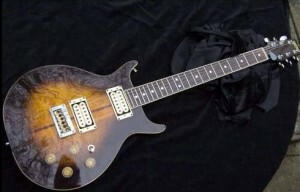 Deemed a national asset by the Jamaican government, this guitar is estimated at between $1.2 to $2 million. 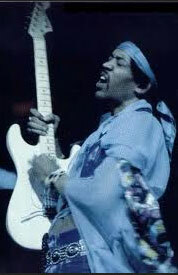 Hendrix famously used Stratocasters, including this one, which he played at his infamous Woodstock performance that year. It’s rumoured it sold for $2 million.